DBX, Aston Martins first luxury SUV, is commencing on an extensive testing programme, being put through its paces along a demanding Welsh Rally stage, a nod to Aston Martin's new St Athan production facility in the Vale of Glamorgan. Though simulation is an essential part of DBXs early development phase, initial testing in Wales signifies the start of real world testing, in which the SUV will be subjected to a punishing regime that will ultimately see development prototypes of the all-new machine tackle the worlds harshest environments, from the frozen Arctic and scorching deserts of the Middle East to high Alpine passes and the high-speed demands of the German autobahnen and Nrburgring Nordschleife. 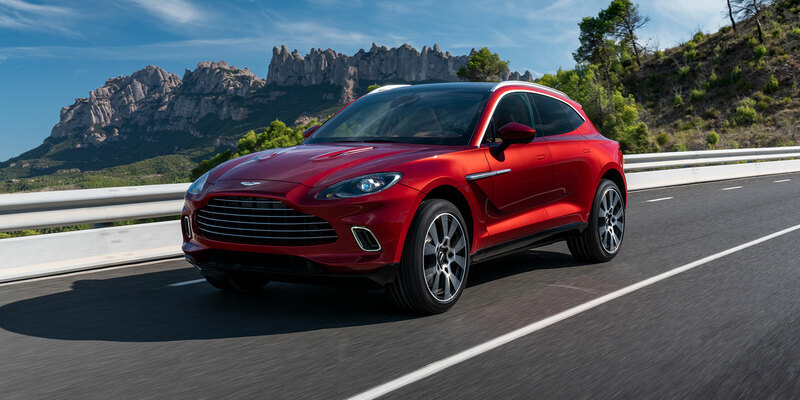 DBX is scheduled to be unveiled in the last quarter of 2019 and will be built at Aston Martin Lagondas St Athan facility; a state-of-the-art luxury manufacturing plant that will ultimately become the Home of Electrification when the marques fully-EV models enter production. DBX will long signify the utmost in elegance and speed, comfort and performance. The new DBX is a meticulously handcrafted with beauty and performance in equal measure. No fraction is compromised. The DBX will leave you in awe. Its beauty is absolute.